Parallel Perceptions, group exhibition organized by New York City Opera, with works by Elinor Carucci, Nikki Lee, Ryan McGinley, Rachel Papo Christopher Morris. The New York City Opera matched each (not-really-emerging) photographer to one of their upcoming functions and drew parallels between the works and the legendary operas. 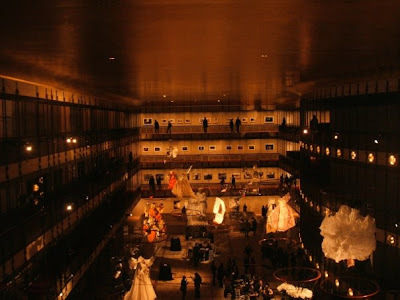 Surprisingly enough, the new David H. Koch Theater lends itself very well to the display of art. Each artist received a substantial amount of space and independence from one another. And the theater itself is very beautiful on its own, so if you can, make sure to stop by and check out this wonderful selection of work.